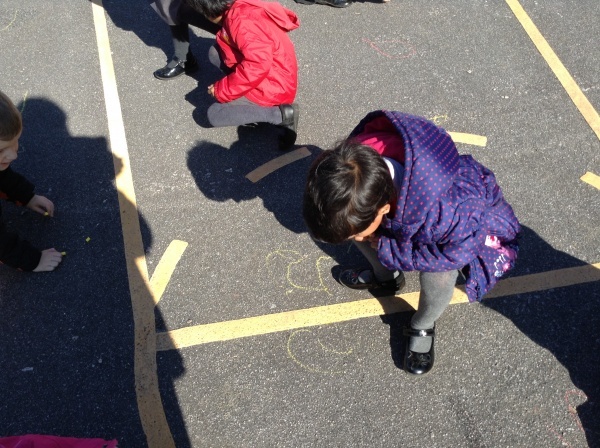 The weather was so beautiful today that we went outside to practise our number formation. 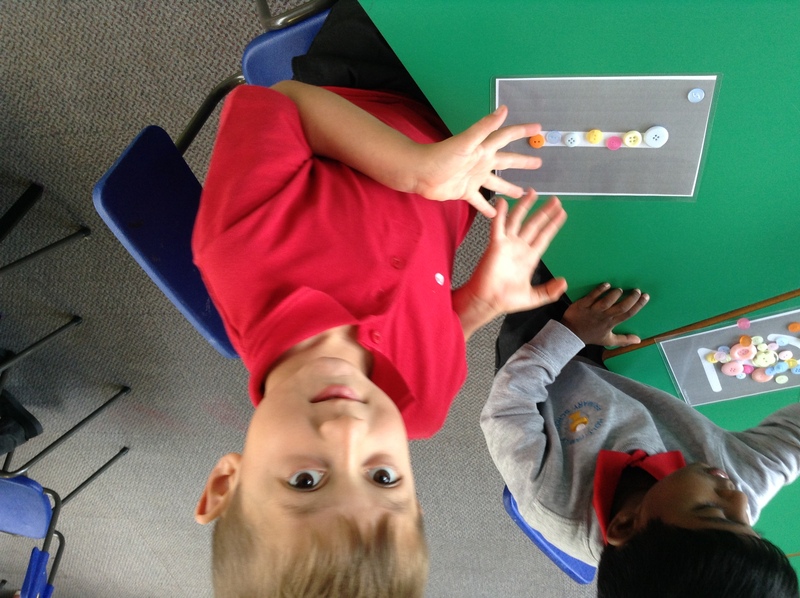 To celebrate the end of Maths Week we had a busy morning full of fun counting activities. 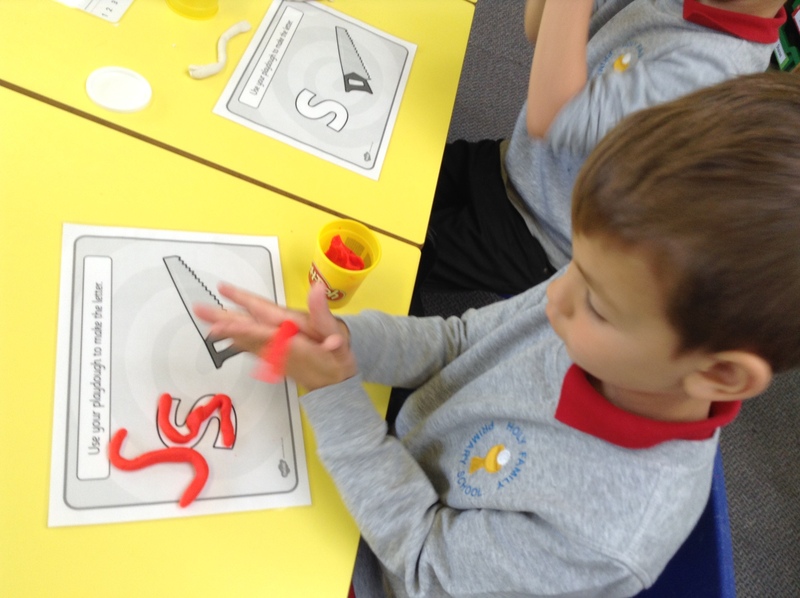 Today we began our phonics programme by learning about how the letter s makes the ‘sssss’ sound. 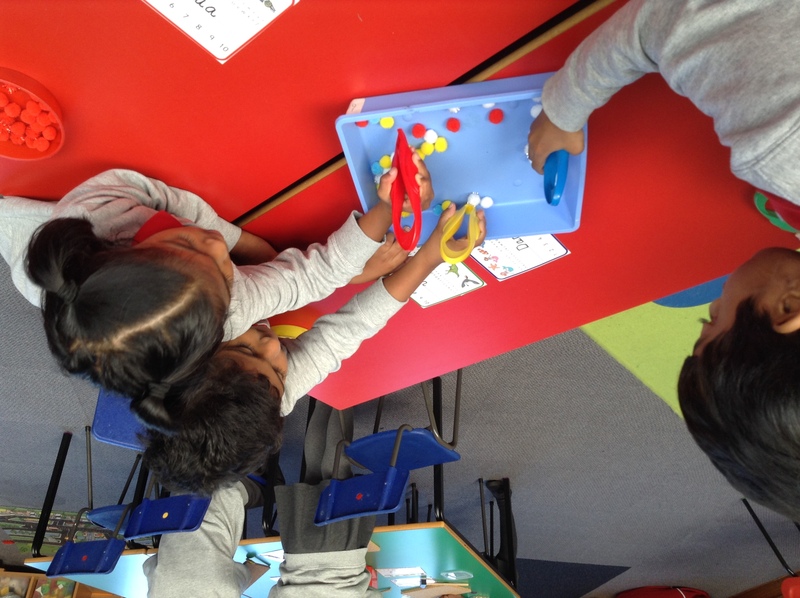 We had fun looking and listening for things that began with the ‘ssss’ sound on the Interactive White Board, then we had a busy morning learning how to form s using sand, play dough and paint.